My Jag is a UK car with original AC fitted. I know it worked when I bought it some 9 years ago but it finally faded away soon after I bought it which never worried me too much. However with the advent of this hot weather, I've decided to do something about it. I spoke to a local guy in Sidcup who converted an old Saab I had to modern gas, so I rang him up to see if he'd take a look at the Jag. Turns out that not only would he do it, but when I rolled up to show him the car, he had another V12 E-Type jacked up that he was working on for a friend. As luck would have it, he's a total Jag nut and has owned a load of E's. So, he's going to have ago at mine this weekend. He's confident that as long as it's nothing 'broken', he'll be able to re-gas it. I remember that when the system did work, the air came out nice and cold, but the fan just kind've 'wafted' this air around a little bit. There are 3 settings on the fan which range from 'gnat's breathe' to 'gentle waft'. My question is whether this is normal or is there a way of enhancing the motor etc to pump more coldness around? Also, any observations or experience on this would be very welcome. In connection with renovating my S3 OTS, I also did the A/C. Basically replaced all parts except the condenser and the evaporator. The hoses running from the compressor to the condenser and the rest of the system we’re toast. A new filter dryer is needed at intervals and the compressor had seen better days. The valve was replaced as a precaution. All this may be the result of the car not running for a number of years, I’m guessing 10, as well as being stood outside. What I also replaced was the fan speed resistor sitting in the engine bay, under the heater box. It’s a roughly one by four inch ceramics resistor where the terminals on mine has corroded and lost contact. I hope this gives you an idea of what may be in store for you, worst case scenario. Nice to meet you and thanks for the info. I suppose I’m lucky in a way as mine was working relatively not that long ago and hasn’t been left to the elements. The hoses seem OK but the AC guy is going to have to change some(or at least put new valves on them for the modern gas spec) anyway. The condenser/dryer will be a new one I’ve bought and the fan speed resistor was something I renewed in the vain hope it would improve the fan speed but alas, to no avail. My main worry is the compressor still working and any seals that need replacing, but I guess I’m just going to have to keep my fingers crossed. I trust the guy to do it properly: He’s very much a “do it properly or not at all” kind of fellow. Anyway - you didn’t say how yours runs now?? Any good? I am assuming that if it has original AC it is a left hand drive car? If it is RHD what AC has it got as the OEM A/C was for LHD only. 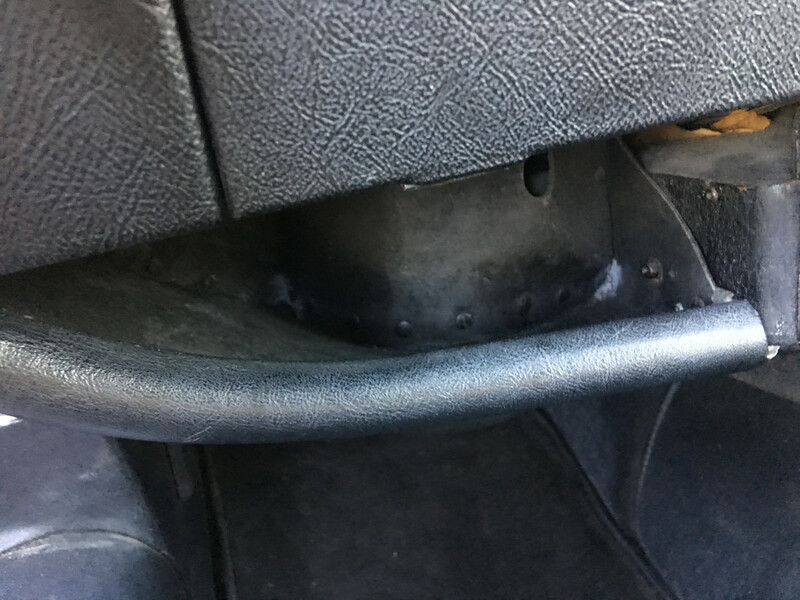 Yes my A/C is working very well and providing all the cool air a small two seater needs. It is the factory A/C in a LHD car. That's interesting you should ask, as I've never come across another RHD with AC either. It's a RHD UK supplied-from-new car. The AC unit in it appears to be OEM fitment. 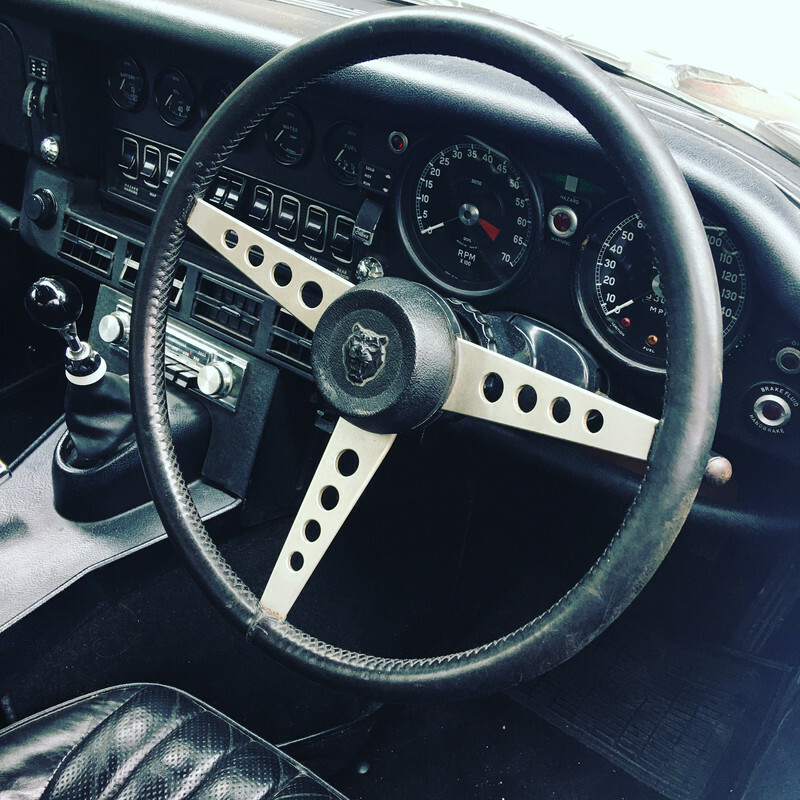 I say 'appears' as it is exactly like the standard AC unit fitment in the cockpit and is as old as the car so honestly doesn't look like a retro fit.Everything about it looks 'factory'. Only thing I'd say is that the fan bulge behind the evaporator is under the glovebox on the passenger side whereas on a LHD it would be on the other side. All the compressor, condenser, drier, evaporator, vents etc etc are original Jaguar. I don't have the delivery list spec sheet to verify that it was ordered from the factory but nothing about it seems non OEM. I'll take some photos this evening so you can assess it. I'm really interested to hear your(+ anybody elses') thoughts. Last edited by Holeshot on Wed Jul 25, 2018 11:29 am, edited 1 time in total. I'll see how mine performs if/when it gets fixed. I may have to look into overhauling the fan behind the evaporator for a bit more breeze........not looking forward to accessing that one - looks like quite a difficult job! Last edited by Holeshot on Wed Jul 25, 2018 11:28 am, edited 1 time in total. Hi Hilton - my understanding is that factory A/C could only be fitted to LHD cars in the Series 3. However dealers often fitted aftermarket A/C as part of the delivery process. Here in Australia A/C could be specified when a car was ordered but was fitted locally, from local units by the dealer prior to the car being delivered. 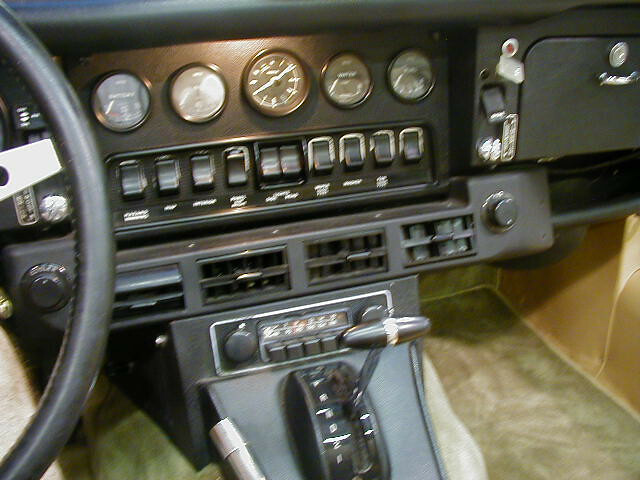 These units were usually those big under dash units and did away with the radio slot. I do believe that a factory LHD unit could be fitted to a RHD car with a bit of cutting and fabrication but I haven't it done. My car actually has the radio console too. When the AC works it'll be worth any sacrifices in order to get a cooler environment in this hot spell! There's no signs of any cutting/fabrication at all. In fact, for a 70's British car, it actually looks quite neat! I'll get some good descriptive photos this evening. Hey Garry, Just found this old photo on my phone. Will get some better ones later on. Hilton, using quotes takes up valuable server space and unlike some forums it isn't need on this one. It can be useful when referring to a much earlier post but not really needed when responding to the immediate previous one. Even then the quote can be edited down to just the relevant sentence. Have edited posts accordingly. Sorry - didn't realise about using quotes. Hi Hilton - certainly looks like the LHD AC in your RHD car. 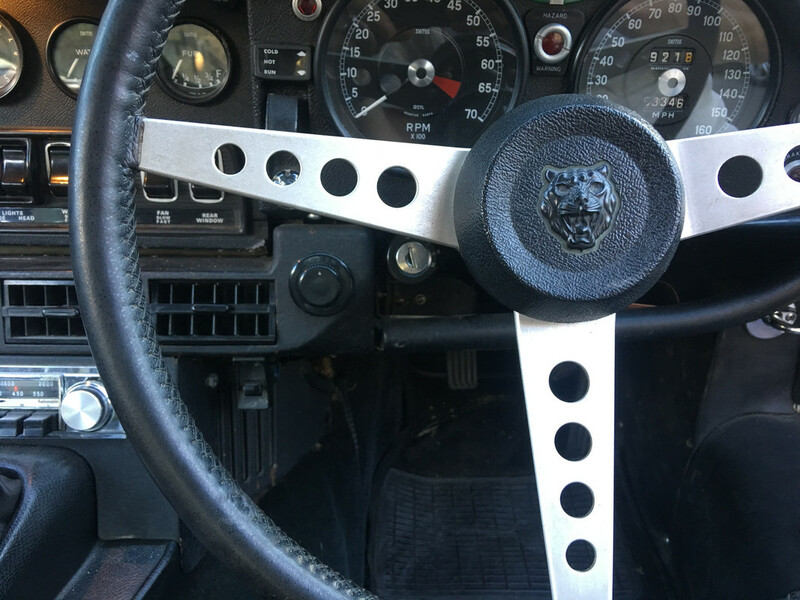 If yours is the same as the LHD version it will have the right hand end trimmed to fit in with the RHD steering column and lock and of course the fan will be on your passenger side. That involves a lot of cutting and trimming. However yours certainly looks like the factory item fitted to a RHD and if done in the factory would be probably the only one known. There’s someone in a Leicester club with a late RHD S2 2+2 using factory air. 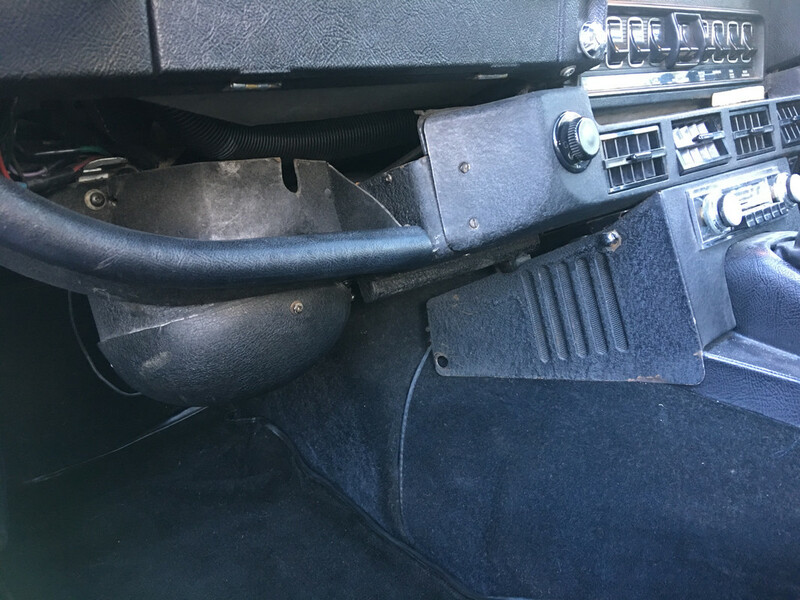 His has the big fan bulging down over his shins, but he claimed foot and pedal room were unaffected once you’d threaded your feet under the bump. 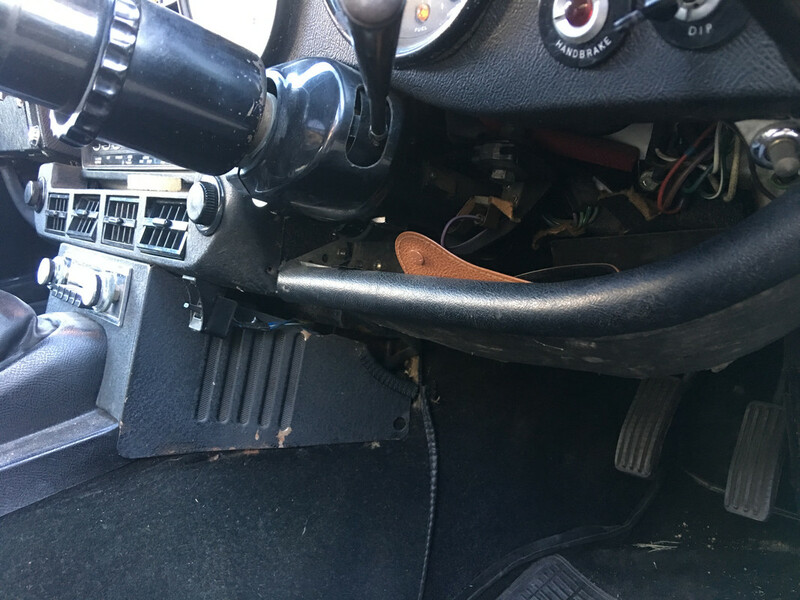 Makes sense, as the LWB floors are a couple of inches further below the dash. Mind you, he’d also fitted S3 XJ6 fuel injection which is equally ‘impossible’, so he clearly reliahes a challenge. Here are some shots of the unit. It looks quite ‘factory fit’. 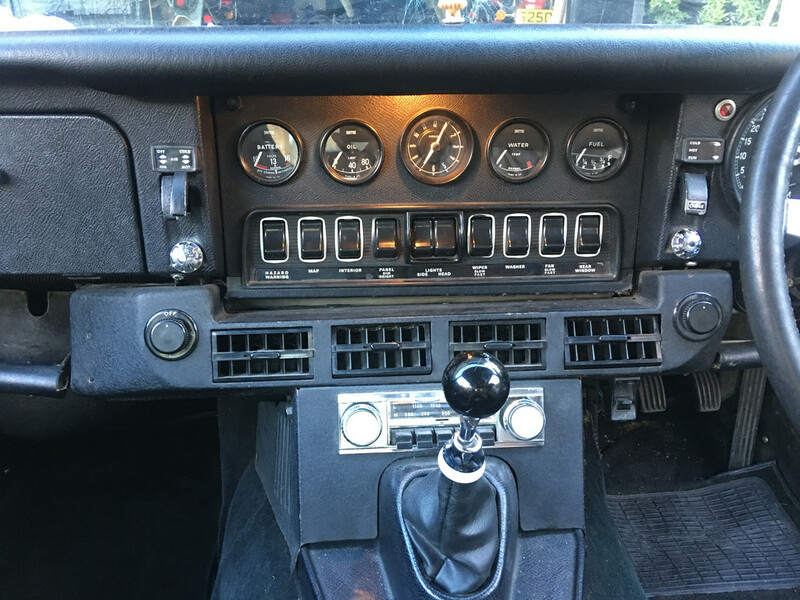 That dash arrangement is a mirror image of the LHD version - so no cutting required. I have never seen or heard of that before and I have been into Series 3s for 35 years and looked extensively into A/C for RHD series 3s. I am surprised the Series 3 authenticity experts have not been along to discuss your system. I have a LHD unit and am looking to modify it to fit my RHD car - maybe I should be looking for your RHD unit. That's really interesting to hear. I'd never considered that it was a rarity - just maybe a bit unusual. If you need more details or anything then just give me a shout......I'd be delighted to help. Will keep an update on how the re-gas goes. I am surprised that some of the Guru's have not been along to discuss your factory RHD A/C. I wonder how the Concourse Guides for RHD cars would now have to be rewritten as currently A/C in a car would drop a heap of points. Well, bit of a disappointing day today. Turns out that the clowns who did some restoration work under. the bonnet just disconnected the system and left it all open whilst they were working on it. Consequently, the hoses have all sorts of cr*p inside them. The Compressor is seized and the condenser has a leak, though we think this is at the unions but couldn’t get near enough this morning to check properly. So......as Ole mentioned......’worst case scenario’!! I need a new compressor. I see on Barrett’s website that they have a rebuilt supply, but they’re shut over the weekend so not sure if this is true or if they can help. If not, is there anywhere that you can recommend to rebuild mine? If the compressor is indeed knackered, then what options would I have?........apart from crying!!!! You are most likely looking at something similar to what I did. One thing I'd do differently would be to get a new modern aluminium compressor. Mainly due to the newer construction and I believe around half the weight. PS: I just realized I'm answering a week old post and that someone several may have chimed in with advise as well.